SmugMug+Flickr’s banner announcing the acquisition. I learned yesterday (April 20) that Flickr was acquired by another photography website, SmugMug.com. 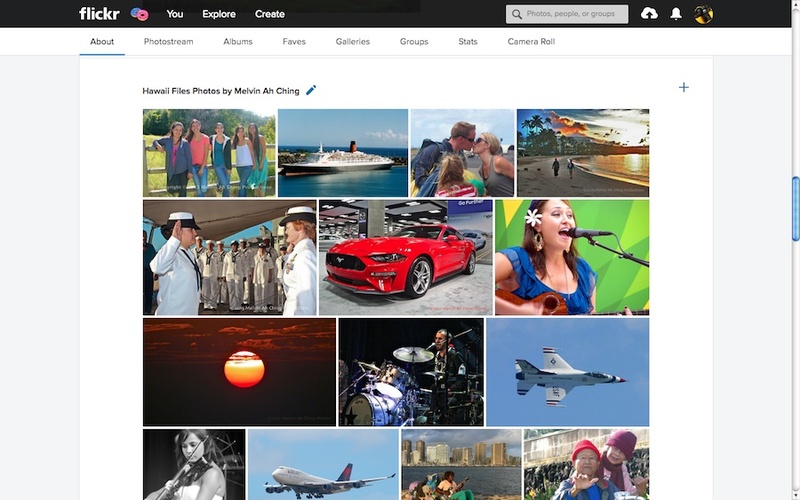 I’ve been a longtime user and subscriber to Flickr. I’ve seen Flickr go through several, often upsetting changes over the years. Acquisition by Yahoo.com. Sold off by Yahoo to Verizon in 2017. And now acquisition by SmugMug. And that is only ownership changes. Flickr has gone through many interface changes over the years – several of which I did not like. They include the major departure from the original Flickr layout in 2010, layout changes again in 2013, and more recently the addition of the camera roll, automatic tags, elimination of the daily calendar view of posts, and the loss of embedding slideshows into our blogs and websites. Over time, we’ll be migrating Flickr onto SmugMug’s technology infrastructure, and your Flickr photos will move as a part of this migration—but the photos themselves will remain on Flickr. I have way too many of my photos embedded into my blogs and websites. It will be a lot of humbug if the links and embed codes would change. I’ve grown used to the current layout – I like the photo-stream view. Flickr’s free accounts are foundational to its community of influential and engaged photographers. We are not making any changes to Flickr plans or rates at this time. We’ll let Flickr Pro customers know if that changes. One can be cautiously optimistic about this, but I don’t like the the possibility that “we are not making any changes” part of the statement. Right now they can say all the nice things to alleviate users from bailing on the service. But what does the future hold? That all said, while I love the free one terabyte of storage, I had upgraded to Flickr Pro (their paid service) many years ago. That was good considering how many thousands of photos I have there. One last thing about that name. SmugMug? Something about it disturbs me. Perhaps with this acquisition we can be cautiously hopeful that something good for photographer/users will happen. We’ll see. My Flickr site “About” page. This entry was posted in Commentary, Internet, News, Photography, Technology and tagged embed, Flickr, free, Internet, Photography, SmugMug, web services. Bookmark the permalink.